Because you deserve distinction, BBAC presents you with the Diamond Card that is uniquely designed to suit your taste and meet your distinctive needs. The Diamond Card is free for life and comprises a bouquet of special benefits that add sparkle to your life and facilitate your shopping experience and money withdrawals. The card also offers you the chance to win diamonds. Diamond Draw: With every 500 USD spent on purchases with your card, your name will enter the bank's annual draw for a chance to win two precious diamonds; the more you spend, the better your chances of winning. Supplementary Card: You can request an additional card for your family members or friends, provided they are over 18, so they can benefit from the same card advantages. 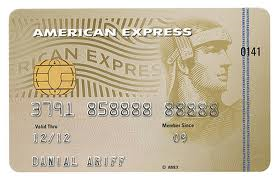 Purchasing Power: You can use the card for your everyday purchases and other various expenditures with ease and comfort. Practicality: You can use the card round-the-clock, seven days a week, locally and worldwide to make purchases at millions of merchant locations, and to withdraw cash from any ATM machine displaying the VISA logo.